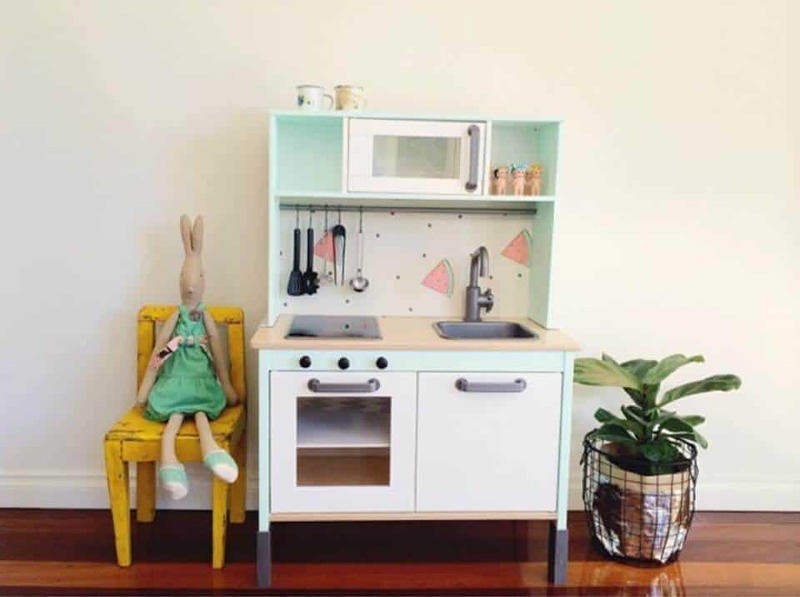 The simple design of the IKEA Duktig Play Kitchen makes it perfect for a makeover. I have seen some amazing makeovers over the last year and can’t wait to give it a go myself before I tackle my real kitchen. 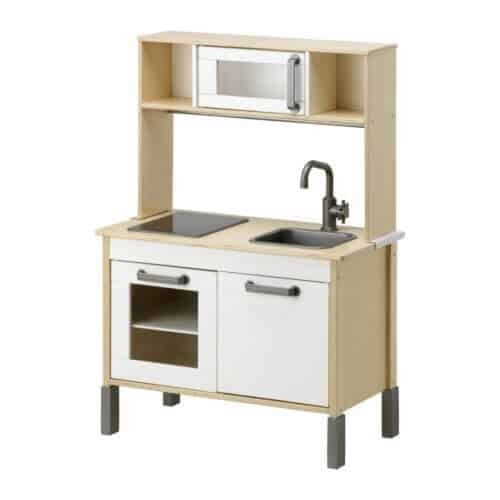 The RRP for the IKEA Duktig Play Kitchen is $149.00, and you have the option for the add-on top section for an additional$50.00. 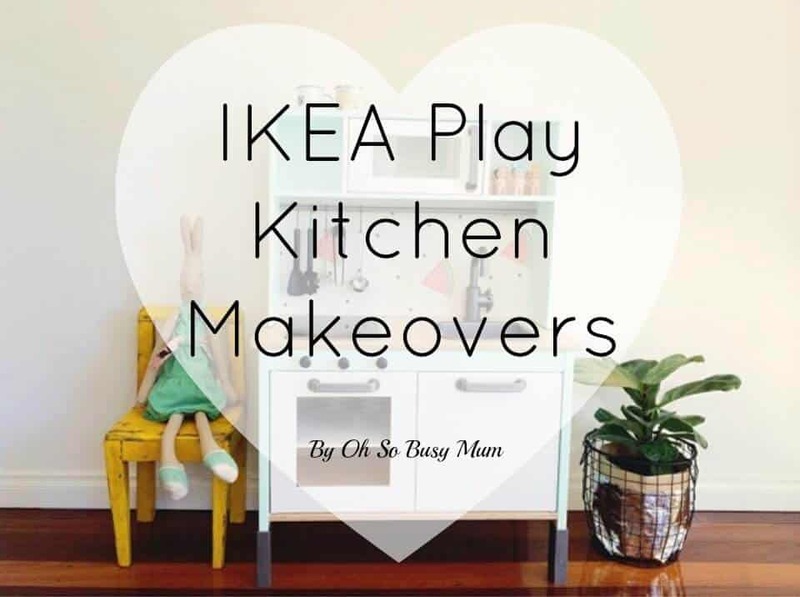 Check out the IKEA Duktig Play Kitchen makeovers and hacks I found below! This kitchen has been painted green, some knobs have been added as well as wallpaper to the splashback. Check out the cute little mixer and potted plant bag on top! 2. This kitchen has been painted soft pink and wallpaper has been added to the splashback. I love the black and white contrast with the pink! 3. This kitchen is simple and requires no painting. 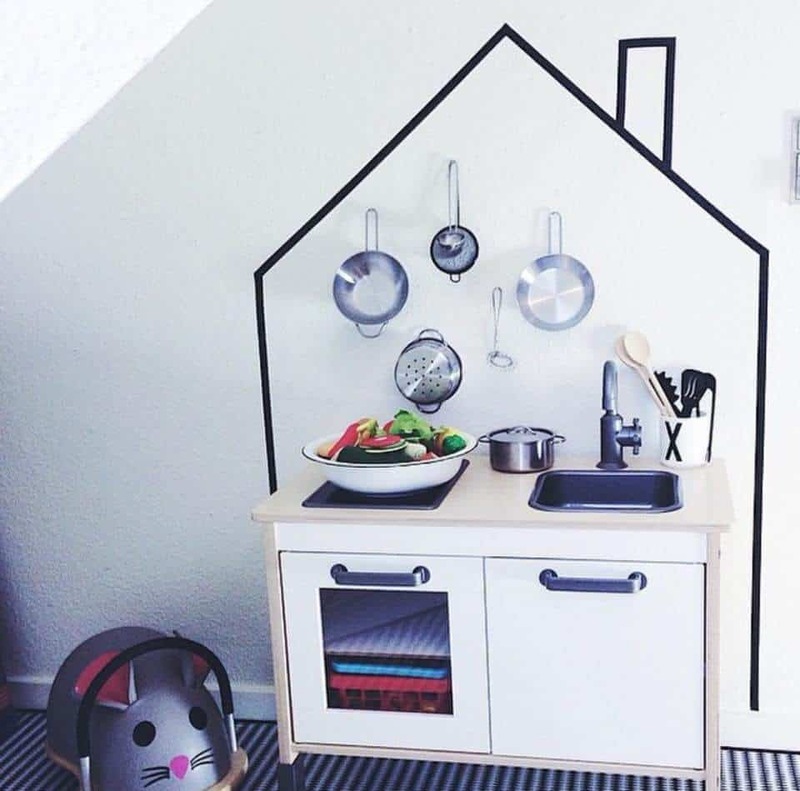 Use black electrical tape to make a house shape around the kitchen. This is a good one for the boys! 4. This kitchen has been painted mint green, black knobs have been added as well as watermelon wallpaper for the splashback. I love the little Sonny Angels on top of these kitchens. 5. 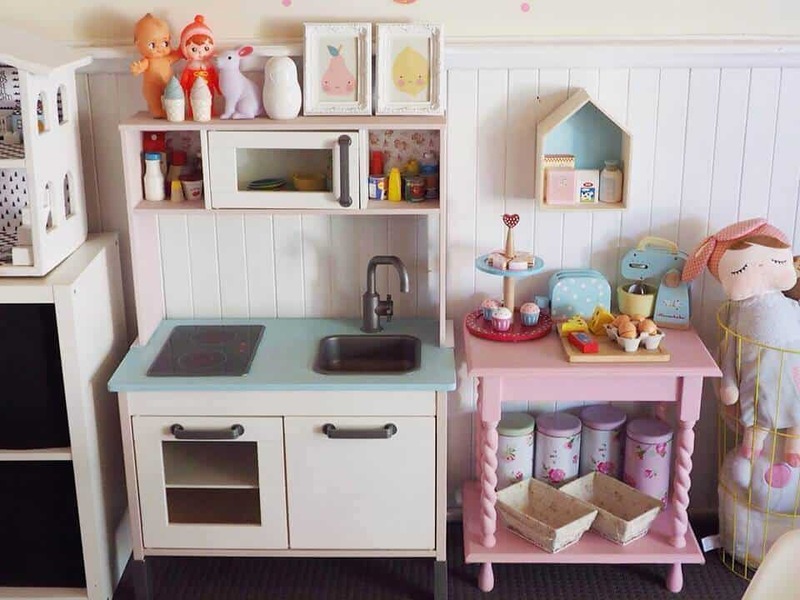 This kitchen has been painted pale pink and light blue with wallpaper added in the top shelf. 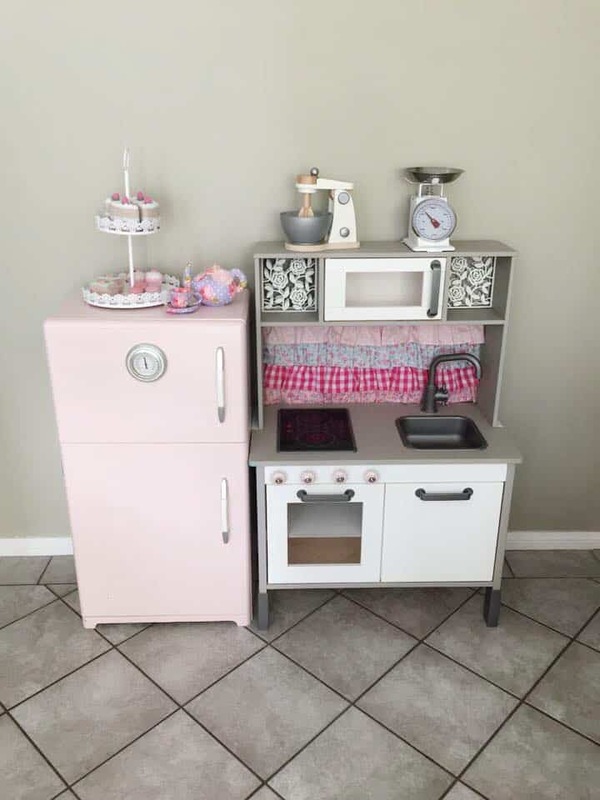 I love the idea of the little stand next to the kitchen with all the accessories. 6. This kitchen is painted with pinks and blue. The sink and handles are painted gold. 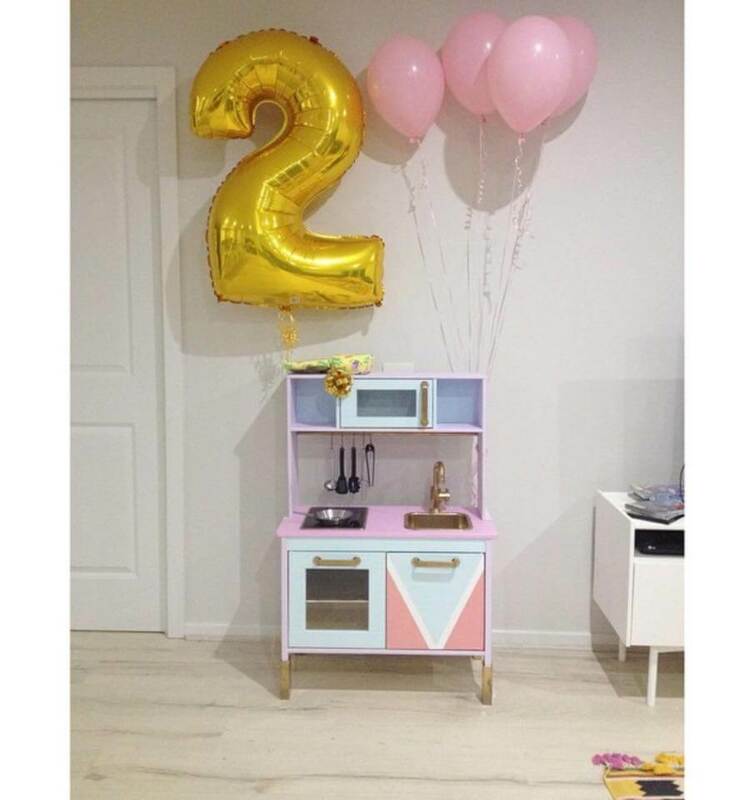 A lucky little girl got this for her second birthday. 7. This kitchen has been painted grey, and knobs have been added and a cute ruffle curtain at the back. 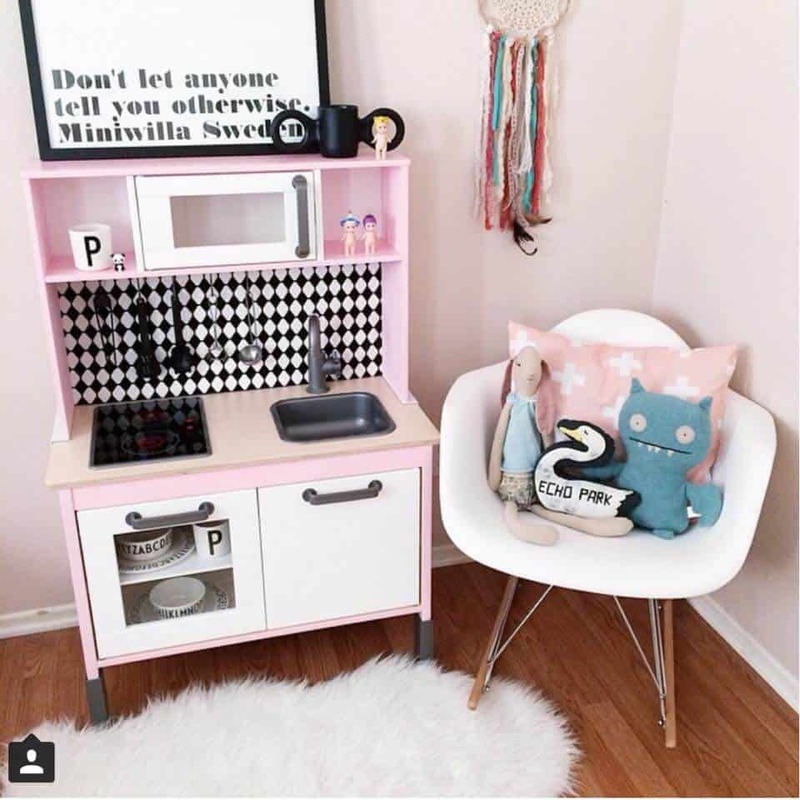 The pink toy fridge is from Pottery Barn Kids. 8. This kitchen has been painted blue, and the cafe letters have been added above. 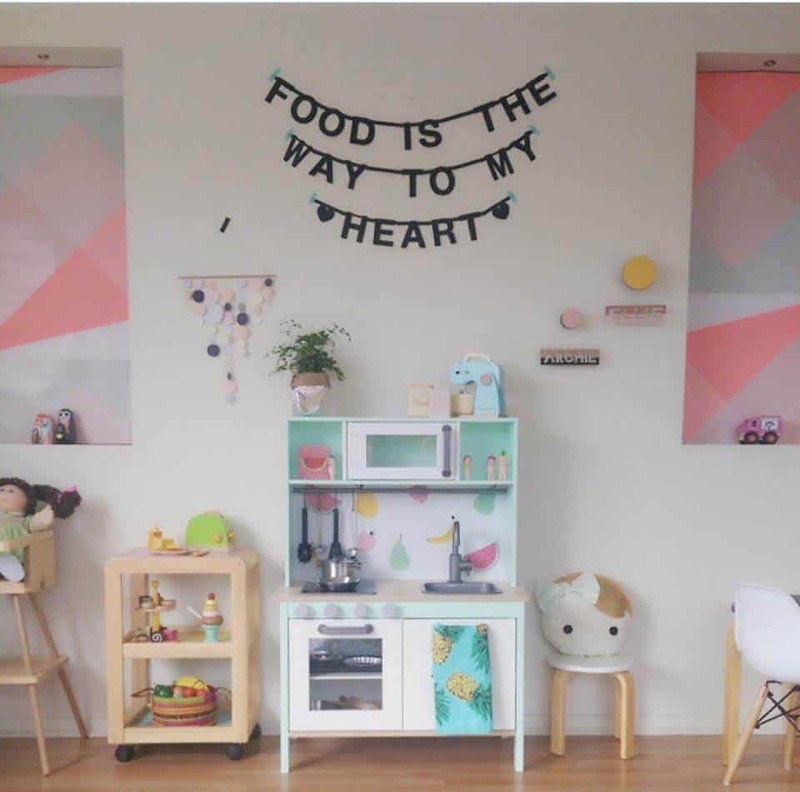 This whole playroom is just fantastic! 9. 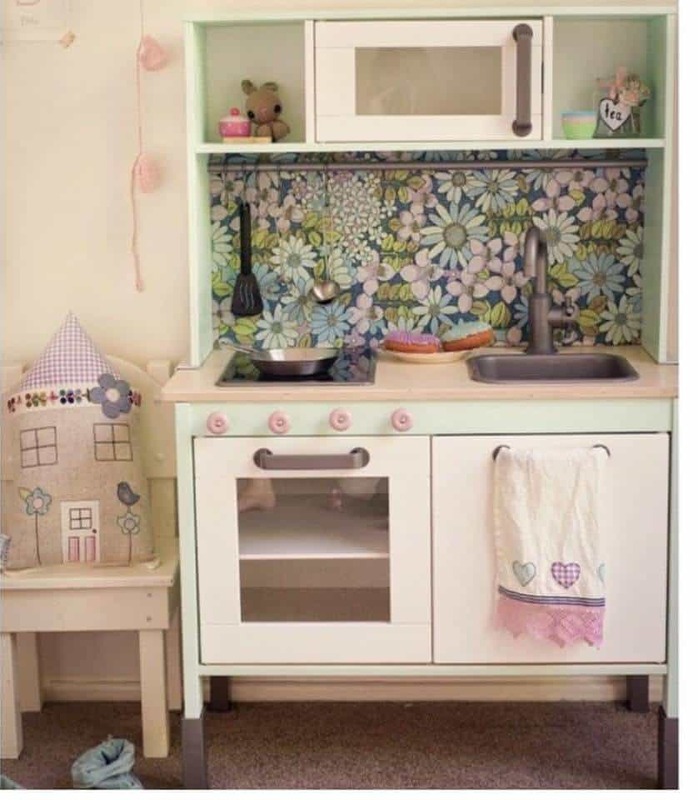 This kitchen has been painted green, and knobs and a floral splashback have been added. The tea towel hanging over the oven adds that little special touch. What do you think of these cute little makeovers? If you have done one up, please share it with me on my Facebook page. Can you tell me how tall the Duktig play kitchen is from floor to counter top? It says you can raise the height to 3 different height positions? Can you tell me what the height is at it’s tallest? Hi, You would have to check the Ikea website for the dimensions. Any idea the best type of paint to use on these?